Compared to their previous gliders, the Wrights’ 1902 glider had a much thinner airfoil and longer and narrower wings, which their wind tunnel tests had shown to be more efficient. To improve lateral control, they added a fixed vertical rudder to the rear of the glider. They retained the reliable forward elevator for pitch control but made it elliptical in shape. In this historical photo from the U.S. space agency, the Wright brothers’ third test glider is being launched at Kill Devil Hills, North Carolina, on October 10, 1902. Wilbur Wright is at the controls, Orville Wright is at left, and Dan Tate (a local resident and friend of the Wright brothers) is at right. 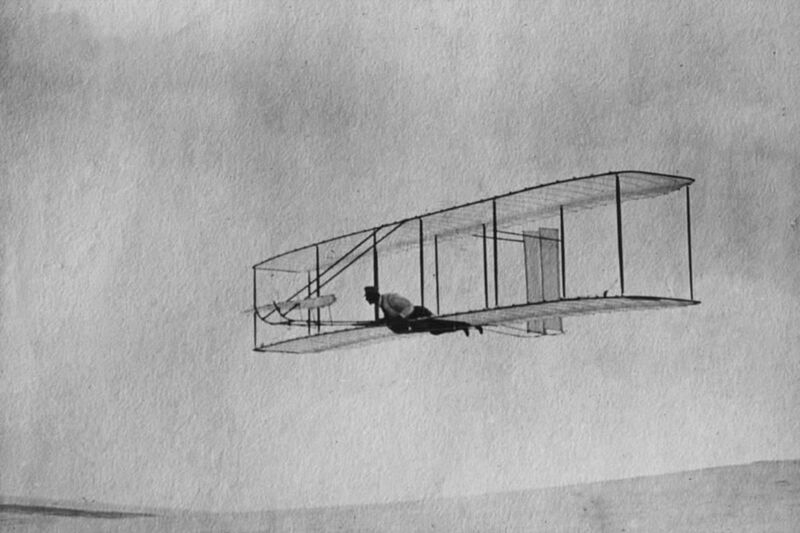 After modifying the glider’s rudder, the Wrights now had a true three-dimensional system of control. This three-axis control system was their single most important design breakthrough, and was the central aspect of the flying machine patent they later obtained. 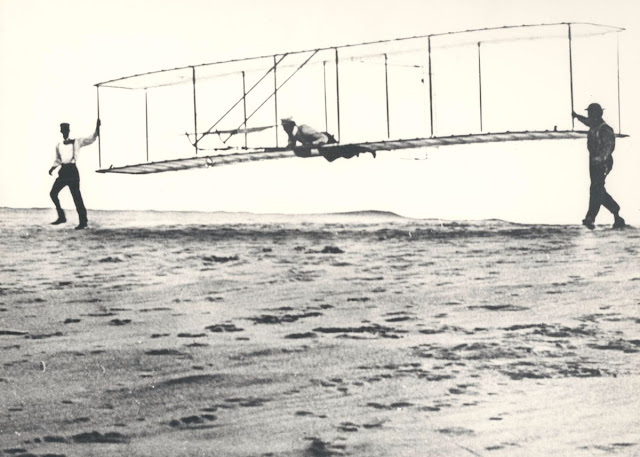 In its final form, the 1902 Wright glider was the world’s first fully controllable aircraft. 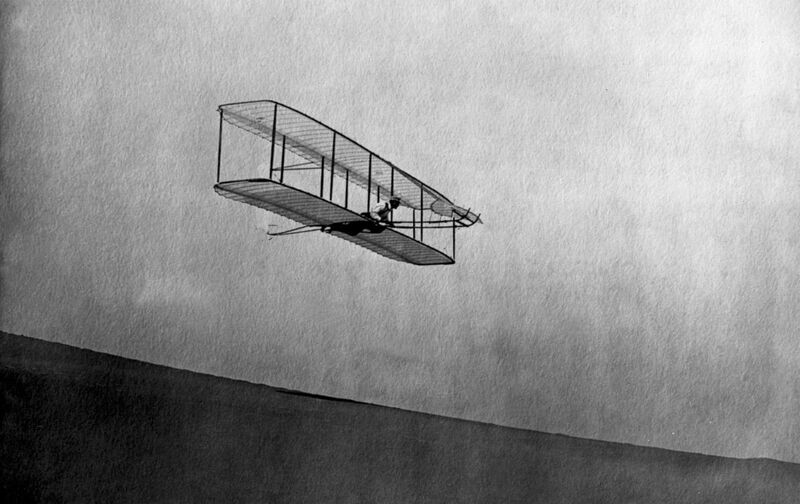 The third in a series of gliders leading up to their powered airplane, the 1902 glider was the Wright brothers’ most advanced yet. Reflecting their single, evolving design, it was again a biplane with a canard (forward) surface for pitch control and wing-warping for lateral control. But its longer, narrower wings, elliptical elevator, and vertical tail gave it a much more graceful, elegant appearance. Like the 1901 glider, this one also had a spruce framework supported within pockets sewn into its muslin fabric covering. The fabric was again applied on the bias (the direction of the weave at a 45-degree angle). The wings were rigged with a slight downward droop to counteract side-slipping due to crosswinds. The 1902 Wright Glider on one of its more than 700 flights. 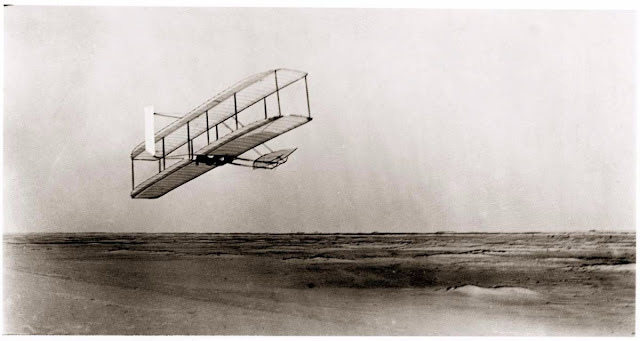 The 1902 Wright glider was the world's first fully controllable aircraft.